I know I have posted this before about the same picture. 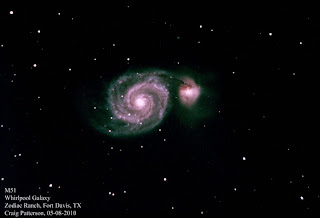 But I thought this was a better picture of M51. Taken with a QHY8 CCD. It is a 5 minute exposure. 12 images stacked to get the best picture. Processed with Photoshop. This is the most well known spiral galaxy. It is that time. It is time for TSP. The Texas Star Party is an annual star party under the great dark skies of the Davis Mountains near Fort Davis, TX. I came down on Friday, May 7 and took some great images. I've been stuck having clouds since Saturday, but am hoping the clouds go away for more viewing. 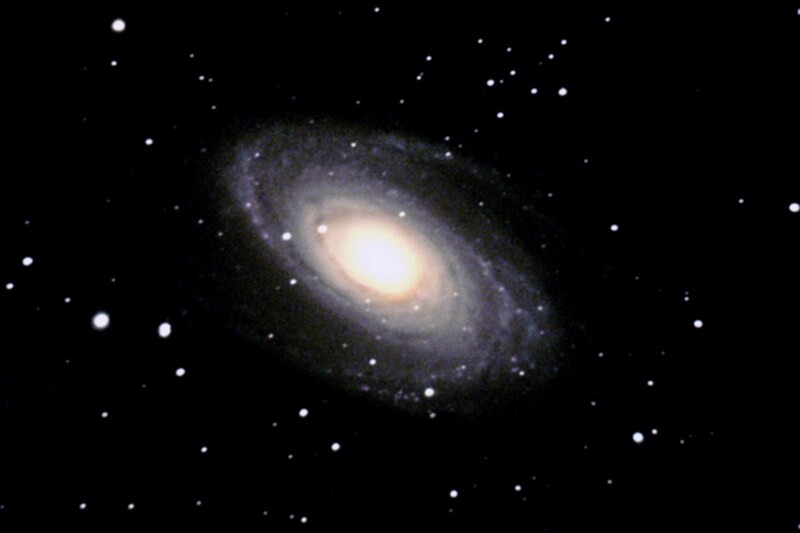 This image is M81. The Spiral galaxy near the Great Dipper. Nearly 12 million light years away.